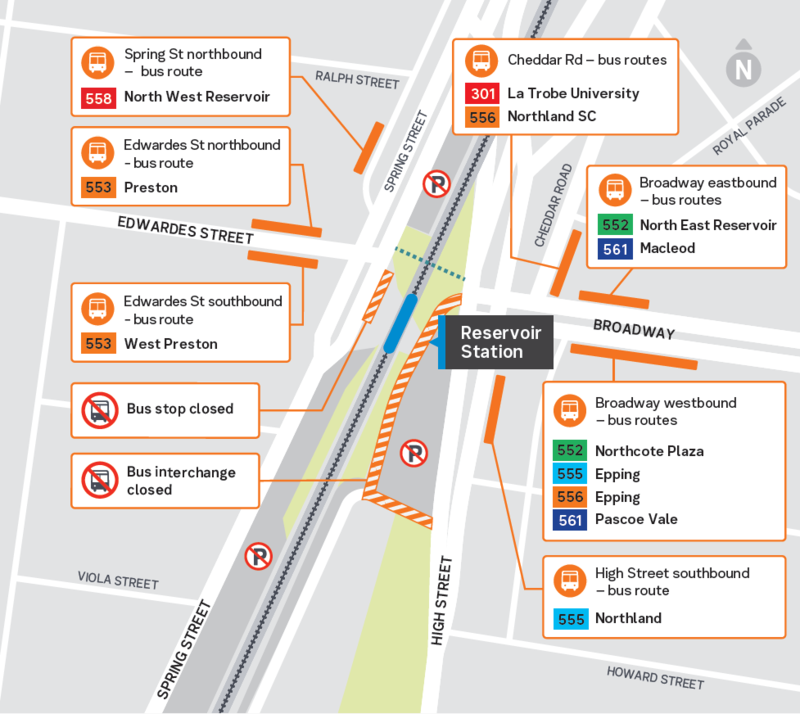 The following bus stops in the Reservoir Station bus interchange will be relocated, while Reservoir Level Crossing Removal Project works take place. Plan you journey at ptv.vic.gov.au or call 1800 800 007. 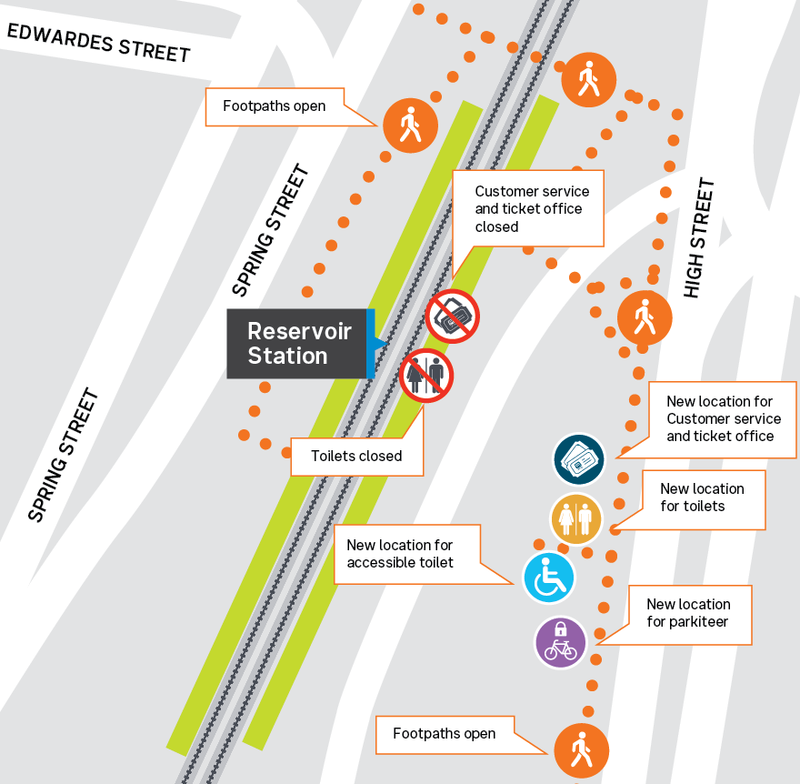 The following changes are taking place at Reservoir Station, due to project works. The customer service office and toilets is being relocated to the station car park, off High Street. Tree removal will take place to enable the construction of the new station. During this time, Reservoir Station will remain open. To check the map, click here.